FreshAir's Head of News, Eleanor Hardy reports on a local attempt to bring great gigs to Edinburgh! Bob Marley told us not to worry, to be happy, but as a self-proclaimed member of ‘generation snowflake’ (what the adults of the 2010s have been labelled), I cannot help but feel as though, that simple philosophy is sometimes a little hard to live by all by oneself. Fear not though! Help is at hand! A new project introduced here in Edinburgh is attempting to use music to help get people grooving and raise money to support the Scottish Association for Mental Health. 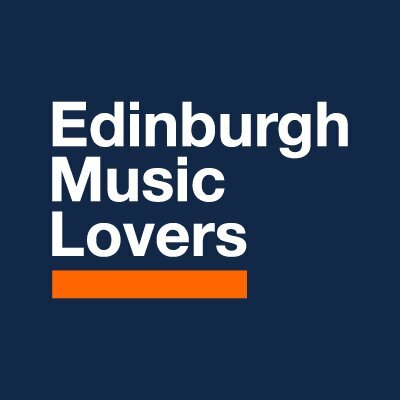 The new event promoter EML (Edinburgh Music Lovers) is launching itself through a series of upcoming live music events across the city in the upcoming weeks and months. In an attempt to tap into the wealth of artistic diversity and talent here in Edinburgh the company is planning on staging concerts, festivals and live music nights to really showcase the cities musicians. Starting next week (on the 29th September) with a live performance from Colin Stetson, an experimental musician who has ditched life stateside for a wee trip to Scotland, EML are not wasting time in rolling out a programme of events that are bound to appeal to all kinds of music lovers. From East London rappers like Kojey Radical to more local acts, the company’s mission is to bring music back to the city. Profits from these events and those that follow are being invested in the charity SAMH (Scottish Association for Mental Health) as the director, and former DJ, Jim Byers notes the ability of music to heal. He uses his own experiences, opening up about past challenges in his life and how music helped him work through them Writing on the company website, Byers says ‘ from my dad’s suicide when I was 10 to my own struggles with depression… Music has always helped me and I’m hoping it can help others.’ EML’s mission is not only exciting but admirable and no mean feat! With his past years of experience in the music and PR world, Byers looks like the perfect candidate for this huge undertaking and with a city full of funky artists, groovy grandmas and sensational students there’s no better place for doing it! Already with a name for itself as an arty hub, Edinburgh’s fringe festival attracts thousands of locals and tourists every year, but what EML will hopefully fill is the gap in the music market. It is not for a lack of talent in the city that Edinburgh is yet to have a festival but restrictions over the years on noise, construction and crowd control has resulted in the stagnation of musical events here in the city. Equally these issues have contributed to the closing down of many iconic city venues, making it even harder to keep the music scene alive and fresh. However, all is not lost! Edinburgh still has a reputation with established club nights and venues like The Mash House, Liquid Rooms and The Usher Hall all offering some great nights. Add to this the revival of other locations such as Leith Theatre, Rose Street Theatre and Old Dr Bells Baths it seems the trend for growth is positive. Indeed there are positive signs for EML everywhere you look with the City Council aiming to work in close collaboration with the company in order to push their projects forward. There has also been backing from legends such as Pete Irvine (the organiser of Edinburgh’s Hogmanay as well as other events) and Dougal Perman of The Scottish Music Industry Association; all of which is helping to boost the company’s reputation already. It is not just those in the Music Industry that have come out in support for Byers’ project, mental health organisations in the country too have shown their backing for the idea. Fiona Lewis, the Corporate Partnerships manager of SAMH has declared her appreciation of the efforts of EML stating ‘Thank you to Edinburgh Music Lovers for standing with SAMH... we are proud to be working closely with [them] and the music industry in raising awareness in mental health.’ In an era where these issues are really coming to the fore of the public conscious, it is great to feel that projects like EML’s are now trying to really facilitate solutions and help the millions of people out there to get back into the groove. So to the music lovers, secret singstars and terrible dancers of Edinburgh- keep an eye out for EML coming to venues near you soon! !